Thatched roof buildings that are fitted with wood burning stoves are at greater risk of fire than those with open fires and new research funded by Historic England and NFU Mutual and undertaken by the Fire Protection Association has now explained why. Historic England, in partnership with the thatch insurer NFU Mutual, has funded a three year programme of research which included full-scale fire tests. The results show that, because of the higher temperatures and flue velocities associated with the use of a wood-burning stove, thatch could be set alight by large sparks and embers ejected from the chimney. An open fire is not as hot and produces smaller sparks and embers, making it less dangerous. 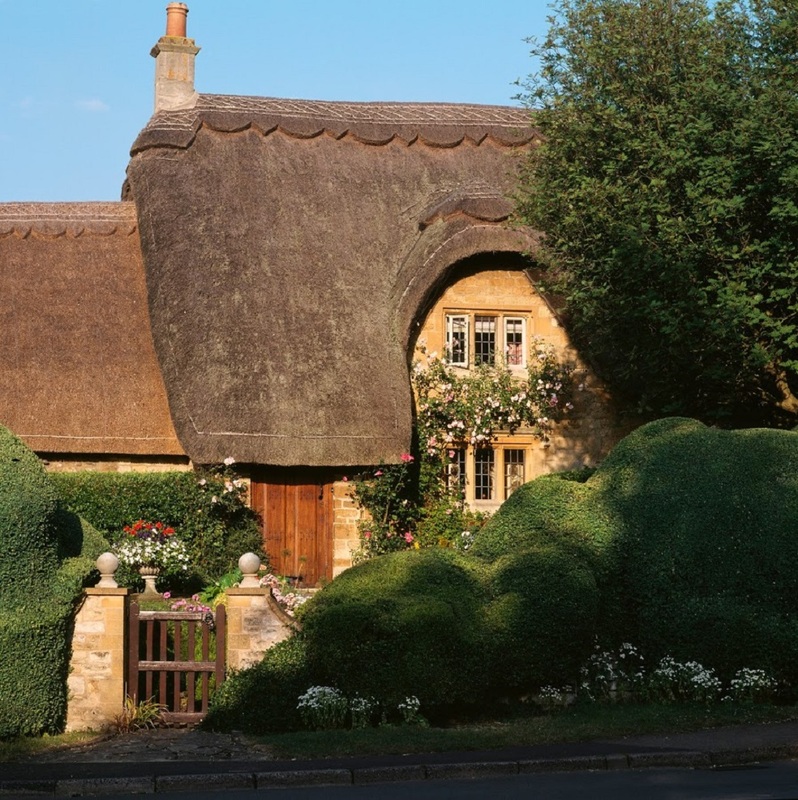 Since the 1990s, the number of fires in thatched roofed buildings has risen significantly and in the past decade more than 500 thatch roofed buildings in England have been damaged or even destroyed by fire; most of these are listed buildings. One of the greatest risks occurs when a wood-burner is used in a chimney in which a bird’s nest has been built, as often happens if there is a cold snap in early spring. The research also demonstrates that fires could be started by hot flue gases leaking into the thatch layer through defects in the chimney stack, especially if the flue is partially blocked. This research has also disproved a widely-held belief that thatched roof fires were predominately started by heat being transferred from flue gases through solid chimney brickwork and setting light to the surrounding thatch layer. The laboratory trials showed that the temperature of chimney brickwork at roof level, even when the wood-burner is being operated at maximum output over prolonged periods, is actually much lower than previously assumed by the proponents of the ‘heat transfer’ theory. In response to these findings, Historic England has produced new guidance on measures to reduce the risk of fires in thatched properties with wood burning stoves. The guidance includes sweeping chimneys regularly to prevent build-up of tar and soot, checking the distance between the top of the chimney pot and the thatch, fitting bird guards to prevent them nesting in chimneys, fitting a stove pipe temperature gauge and installing a suitable flue liner. NFU Mutual, as the insurer of thousands of thatched homes, has found a high proportion of thatch fire claims involve wood burning stoves. In the South West, the Devon and Somerset Fire & Rescue Service (DSFRS) has set a target of reducing fires in thatched roof buildings by 25% in the next 12 months. The DSFRS, together with Historic England and the Institute of Historic Building Conservation, held a seminar late last year on reducing the risk of fire in thatched buildings at the Fire Service headquarters near Exeter and more are planned. Historic England will be exhibiting at the Listed Property Show at Olympia in London on 9-10 February 2019, providing expert advice and guidance to owners of historic buildings.